We have been awarded Apprentice Employer of the Year 2017! 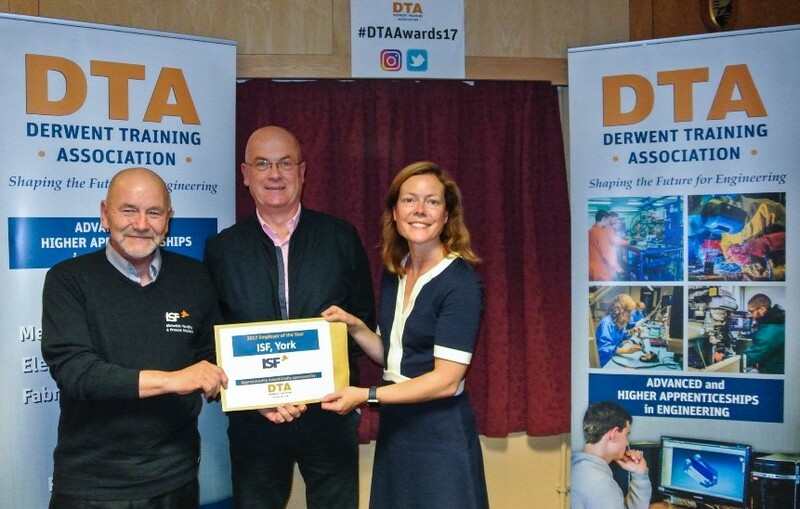 We’re proud to announce that Derwent Training Association (DTA) has recently awarded us the Apprentice Employer of the Year for 2017! It’s a great achievement to receive this award and reflects our company values of investing in people, training and engineering. DTA was founded in 1988 and is a regional expert in engineering apprenticeships. They have been leaders in training young people on Advanced Apprenticeship programmes for 25 years, and their annual awards took place on Thursday 19th October 2017 celebrating the success of all apprentices and employers across Ryedale, York and the Yorkshire Coast. It was a fantastic award ceremony to be a part of and congratulations to all the other award winners!